In the remote, southwest corner of Bolivia is more than 4,000 square miles of flat, lifeless terrain at over 11,000 feet above sea level. 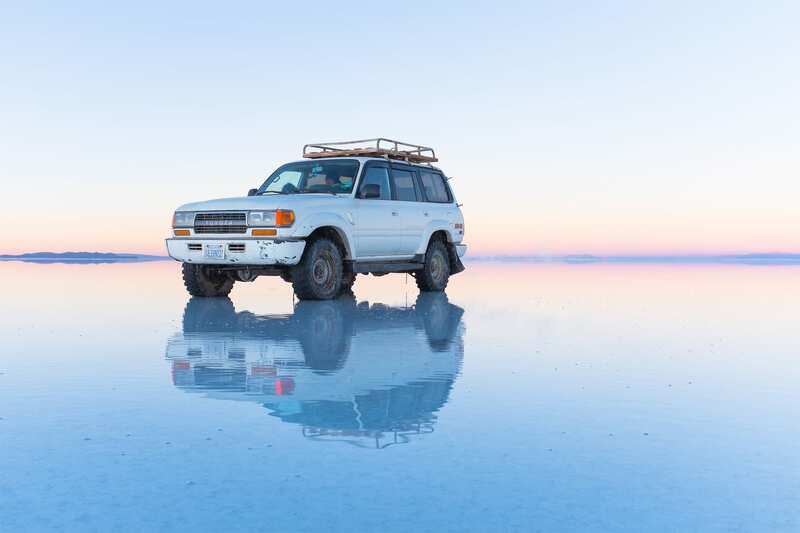 But despite its seemingly unfavorable characteristics, this area, the Uyuni Salt Flat, is one of the most sought after destinations in the country, if not the continent. The Uyuni Salt Flat is the largest in the world. It’s known for its endless, stark white landscape and magical, mirror-like reflection of the sky. This is when a thin layer of water covers the salt flat, creating an incredible reflective surface. But, travelers should come prepared with rain gear. There’s also the possibility of trip cancellations and the inability to reach certain sites due to flooding. During the dry season, salt rises up from the ground creating polygonal patterns on the crust. 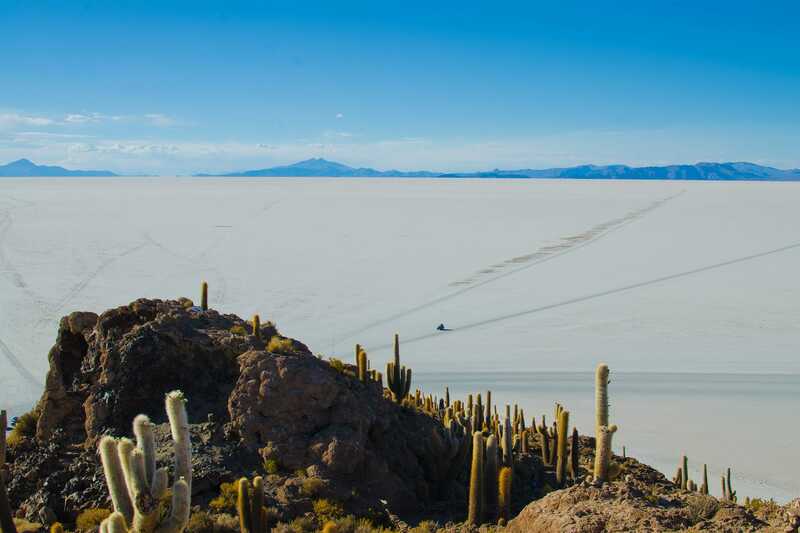 Visitors experience colder temperatures, but can travel across the salt flat to reach other areas, like Isla Incahuasi (Fish Island), that may be inaccessible during the rainy season. 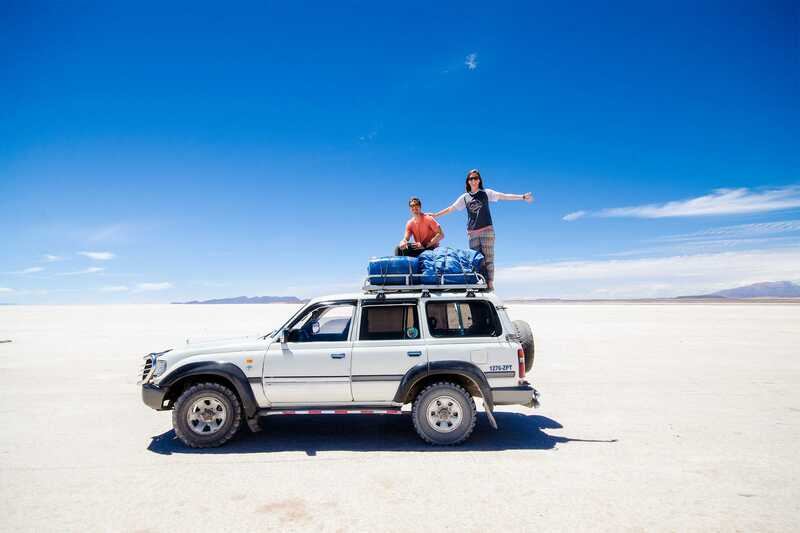 The best way to see the salt flat is on a 4x4 jeep tour, most of which leave from the town of Uyuni. 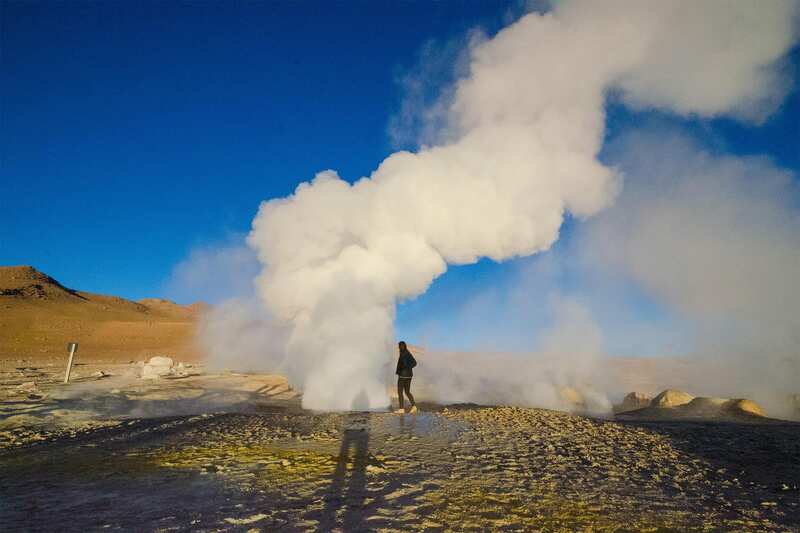 Many travelers opt for a three-day tour so they can enjoy other regional highlights in addition to the salt flat. Colchani, the nearby salt miners workshops with locally-made textiles and handicrafts. Ojos de Agua Salada (Salt Water Eyes), which are holes in the salt flat where water wells up under the salt crust. The Salt Hotel and museum. Isla Incahuasi, weather permitting, to view giant cacti and petrified coral. Over the next two days, travelers encounter other landscapes on the Bolivian Altiplano (high mountain plateau). This portion of the tour is not to be overlooked. These geologic formations and landscapes are just as special as the salt flat! 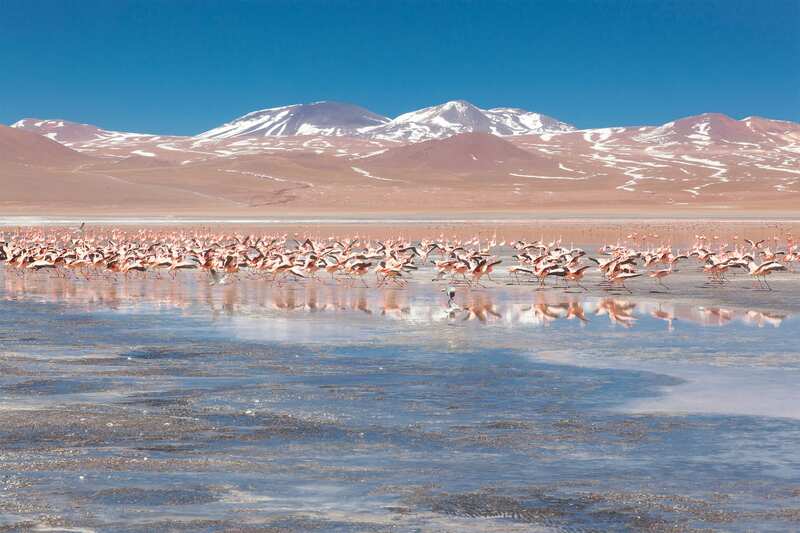 Three beautiful lagoons inhabited by Andean flamingos - Canapa, Hedionda, and Chiarcota. The Red Lagoon, which gets its light crimson color from the sediments and algae in the water and features flamingos. The Green Lagoon at the foot of the Licancabur volcano, which may look beautiful but is filled with arsenic, lead, and copper. Here, visitors will be higher than Everest base camp at an altitude of over 19,500 feet! The Sol de Manana Geyser, where visitors walk among steaming and bubbling craters of mud. The Hot Springs of Polques, for optional soaking in the open-air springs. After a few morning activities on day three, the tour will return to Uyuni. 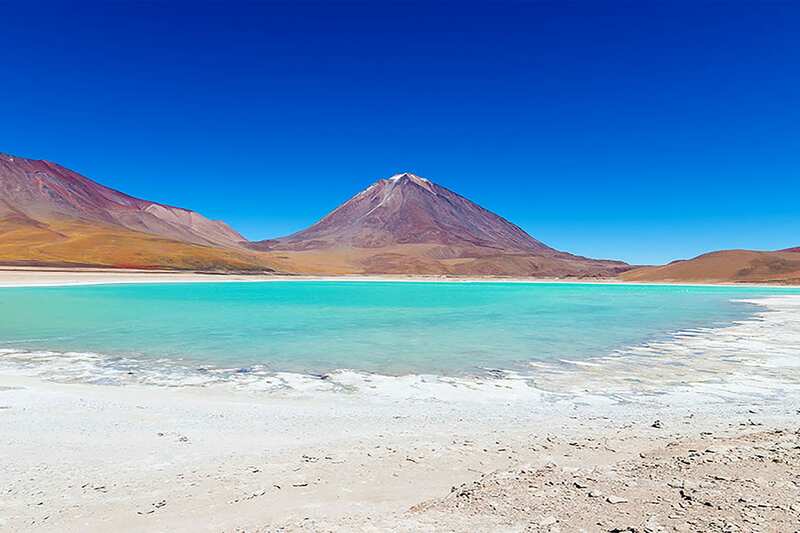 Or, for those looking to continue traveling elsewhere, travelers can be transported to San Pedro de Atacama, Chile. Ready to book your tour to see these amazing landscapes? 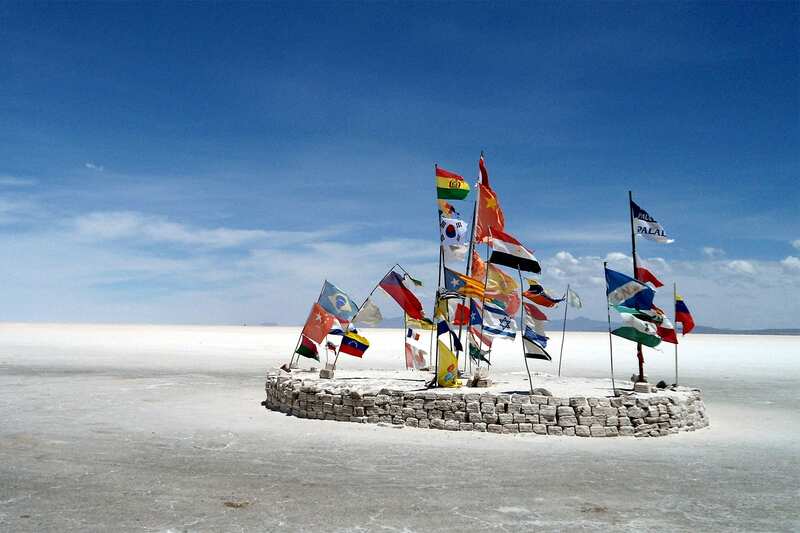 Visit our three-day Uyuni Salt Flat tour information page!